I have been working all weekend and I don’t think I have done half of what there is to do. I’m sure I’m going wrong somewhere. 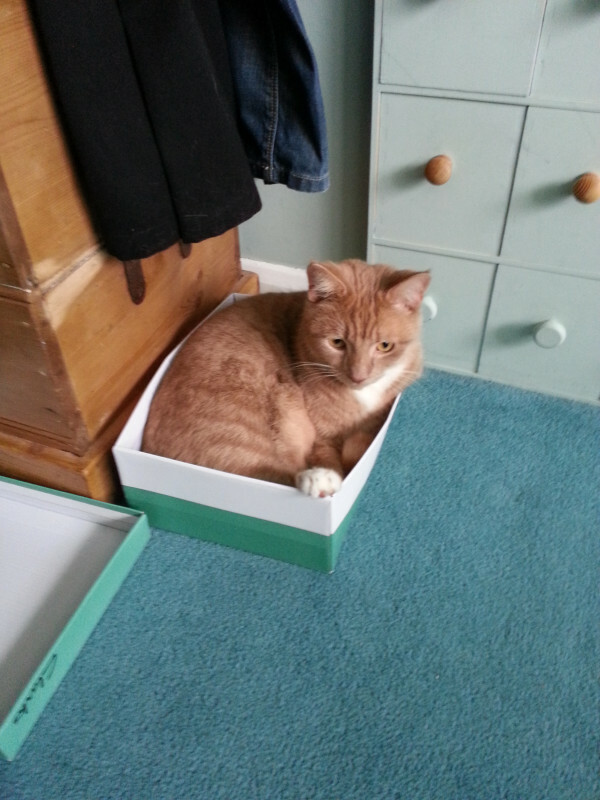 Earlier, in order to cheer me up, my friend Alex sent me this picture of his daft cat Skimbleshanks determinedly squashing himself into a shoebox. It worked Alex, thank you!